It’s Sew Mama Sew Giveaway Day again, and while I haven’t had much of a chance to sew while being in pregnatory and moving to our very first house (!!! ), I’m hoping this whole week of giveaways will inspire my grey fluff mind to create something pretty again. Anyway, on to the giveaway for which you are here (like that grammar?). Check out Sew Mama Sew all week for tonssssss more giveaways. Like, tons. My favorite boy name is probably Oliver, although I don’t think I could ever use it since our last name starts with an O! I like the name Matthias…my sister wanted to use that one, but had a girl. We’d probably end up naming our son after my husband (Joe) but I love Xavier for a middle name! I like Robert as a boy’s name. Thanks for the chance to win! The only boy name my husband and I could both agree on was Alexander. We had it in mind for each of our kids who both turned out to be girls anyway! Congrats and good luck with the upcoming birth! I like Reed! Thanks and good luck!! Andrew after my dad, but I also like Robert, Sidney (after Sidney Crosby of course lol) and Eric. My nephew is Jack, which I think is an awesome name! I like Eric or Hank. Thanks! My inlaws named their son Dylan. I am partial to Elias, pronounced E(lee)as rather than E(lie)as. It is my husband’s name and he always gets compliments on it! pixelstopatchwork (at) gmail (dot) com. Well, I’m partial to Preston, but that’s because I have one! We were going to name our first child Grant, but she was a girl! Our son’s name is Colton. Ours will be a surprise, but we already have four girls and one boy. My son is Caleb and I am thinking about Jacob this time, but with four girls in a row, it seems pointless to even consider boys’ names. :) Good luck!!! I like the name Samuel. Traditional but not overly popular. I really like the name Jacob, or Jake for short. I’m a little biased, but Logan is my favorite! my new granddaughter is 7 weeks old and is Kayden, if I had had boys rather than girls, Matthew was the name. My favorite boy’s name is Christopher. When we have a son, he will be Tommy IV!!! My favorite boy’s name is Nathan. Oh my, it is so hard picking baby names, isn’t it?? I think names are so important and it’s hard finding one that doesn’t get chopped up or nicked. Can’t think of a favorite but I’ve always like Jonathan. Oliver or Simeon – my two boys names! If we ever have a boy we will name him Andrew. I like the name Daniel. I love Asher, Andrew, Henry, Jack, and James. My husband doesn’t like any but James so maybe you can use them! My son is Gabriel. His friends call him Gabe. I love Micah, and Jude. My favorite is Joseph…of course, that’s my son’s name! ooooh baby names, no fun. Parker is nice, good luck! My favorite boys name is Micah, that happens to be what we named one of our boys. We have an Edward, whom we call Teddy. I love it! My son is Michael. I also like the names Zachary, Gabriel, Nathaniel and Isaac. I love the name Jack or Sam! I think Gabriel is a pretty name. My favorite boy’s name is James! I like the names Isaiah and Christopher. One of my favorites is Max. We named our baby boy Emmett after my grandfather. Good luck to the new baby! I like “old” names like James, Joseph, Joshua, etc. We have an Olliver (Ollie) and an Elliott — obviously we love both! My favorite boy’s name is Aaron. My favourite boys names are Huw, Monty, Barnaby, and Spencer. Good luck with the baby. I like the name Jacob. I have three. :0) Andrew, Peter, and Simon! I thought about MIKA ? Great fabrics! I love the colors! I like the name Declan! I have two boys and love their names: Hunter Bradley and William Cameron. I have like the name Michael. You have the coolest giveaway. You must know by now that it just feels so good to find an unexpected present in your mailbox. You just smile and you just do a happy dance. Thank you for being a part of Sew Mama Sew giveaway and giving me a chance to win. I love Connor, Jacob, and Brian. Jacob is a favorite or just Jake. Thanks for the chance to win. Seth, Ethan or Ian are my favorites. So lovely! Thank you for doing this giveaway! As far as boy names go, the one my husband and I picked out was Gregory Dean. The best way to pick a name is to imagine shouting it: “GREGORY DEAN! GET DOWN FROM THERE!” That name was perfect for shouting! We ended up having a girl (and we aren’t having any more children) so we will never get to use the name. Maybe David or Daniel or something like that. We named our son Ned – which I love. I also like the names Toby and Adam. Good luck! Our only son is Micah and I still love the name 17 years later! Good luck! I like old fashioned names. We just had a baby girl but before we knew she was a girl some of the boy names we talked about were Noah, Ezra, Isaak, and Oliver. My son is named Alan. I had a baby girl 3 months ago, if she’d been a boy we would have called her Stan! Olivia for a girl and Lucas for a boy. My favorite boy’s name is Declan. It’s an Irish name meaning “full of goodness”. Thanks for the giveaway! My boys names are Kyle and Wyatt. I love strong boys names. My sisters boys are Ascher and Mercer. love those names too. I also like Trevor and Wade. Whatever it is you will know when you hear it. Wyatt was going to be Kaleb up until a few days before he was born. My son’s name is Kevin so that’s a favorite. I like names that aren’t super popular but not too unusual either. Not sure that helps! Favorite boys names are Max and Elliott. I love Justin as a boy’s name. Alas, I had two daughers. OMG I wish I was in your shoes right now!!! 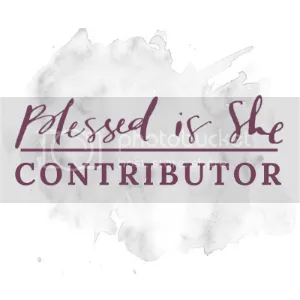 Your blessing is on its way! Thanks for a giveaway right in the middle of things! I love Miles and Ian. Thanks for the chance to win! My favorite boy’s name must be Isaiah b/c that is what we named our first boy! Kyle Daniel is a favorite of mine. HI! I LIKE BRYAN JAMES. WISHING YOU A BLESSED+HEALTHY PREGNANCY+DELIVERY+LITTLE ONE! Patrick is one of my all-time favourites. Named my first born with it. Congrats on the pregnancy and the house! Thanks for the giveaway! I have 3 boys (and 1 girl), and I am pregnant. My boys are Asher, Silas, and Jude (I love their names), and if this one is a boy, his name will be Levi. We like unique, but not entirely unheard of names. Sometimes we pick something, though, and THEN it becomes trendy. Best wishes for your family. Babies are awesome! My boy’s name is Kael. Someone asked us “Oh so you named him after Superman’s Dad! Ka-el?” And we both answered….. “oh…. ya?!!!! Ya that’s what we intended to do! So to this day, we just tell Kael he was named after Superman’s Dad Ka-el! Mwwaaah! Gage, I love this for a boy! I have a nephew named Dylan and I love that name, Austin and Westley are cute too. My son in Euan and daughter would have been Matthew if she was a boy! my favorite boy’s name at the moment is Matthew. My daughter having another boy this summer and having trouble coming up with a name too. Some that we have already and I like are Oliver, Elijah, and Kyle. She would kind of like to use Isaiah , Josiah or an obscure name I can’t remember! My boy name is Augusten! Our son is North. I also like Gray and Milo. My sons name of course, Desmond! Followed by Ryland, but the hubs hates that one! James is a favorite in our family, Jim Jimmy or even Jamie. We have lots of Jims. Seale is my favorite. Some others… Seth, Noah, Elijah, Miah, Liam. Congrats on your baby boy! I like Joseph, and David and Jason — any boy’s name that has a long vowel sound seems like a stronger name to me! Thanks for the chance to win! My favourite name for a boy is Jack. My favorite name is Jett but I am partial as that is my son’s name. And yes my husband is a pilot. My favourite boys’ name is Timothy (our first son’s middle name). :) Thanks for the giveaway! My favorite name is Benjamin., which is my son’s name. :) Thanks for the giveaway. Well, my boys are named Daniel Stephen and Peter Matthew. Giveaway day is so fun — thanks for the chance to win! My son’s name is Robin – a name that both my husband and I decided on easily!! My favorite is Owen- a bit popular right now though. I’d go for something that means something to you, maybe a book character or person you admire. For instance the Tolkien books I really enjoyed as a child, and they continue to mean a lot to me, so the name I like is Samwise. Hugely nerdy, I know, but I love it! Wow, what beautiful fabric! Great giveaway. I just heard the name Asher and thought that was pretty cool. We’re on our 3rd boy right now and we have a McCarthy, Knight and soon to be Harrison :) good luck name hunting! I love Cornelius. Most people do not, however. I like Steven, Jonathon or Michael. I like traditional like James. I love Alexander, I don’t think I could come up with a 2nd boys name if we ever had another though. I have a soft spot for the name Lucas. My favorite boy name is Oliver. But only if it is said with a British accent! i like blake, and graham, and peter. and i like the fabric you are giving away! My favourite boy’s name is Declan. I love the name Cooper. My son is Alexander which I love. I also loved Anderson. My son’s name is Simon but I also like Jack and Connor. My sons name is Noah. I also love Judah and Jaxon. If one of our twins would have been a boy we liked Keegan or Kaleb. Especially love the fabric on the right. Thanks for the giveaway. I like the name Ethan. My favorite boys name we didn’t use is Thomas. I love Josiah. Jed for short. I love Sam and I have never met a Sam I didn’t like. Perfect. Thanks for the chance to win! I love the name Luke. :) Good luck choosing, and congrats! I love David and Luke! I love the name Gavin. I love short names, Jan and Marc are some of my favorites. Alexander is my son’s name and if I’d had another boy I’d have used Zachary. Good luck with your impending arrival! Hrmm .. I have a Lachlan .. but I really liked the name Callum Owen! My son is David and then Joseph. Those have always been my favourites! I like Eli and Jed! Lachlan is my favourite . I have two boys, James and Jonah, and I love both of their names more and more every day! Gavin, my son and DIL plan on #2 very soon and that is the boy name that I keep hearing over and over in my head! Well, we named our son Oren after my great-grandfather, so I’m pretty partial to it. :) It’s different without being too different and it’s emotionally special to me. I also like Jake, Luke, and William… Good luck with your little boy! I didn’t know what we were having when my daughter was born, so we were going to go with Robert if it turned out to be a boy. I also really like Keaton, but my husband wanted more traditional. We used Scott and Will. Enjoy your baby, it’s the best time in life. My boy’s name is Lucas, so I’ll say Lucas. Max is my absolute favorite! Thanks for the giveaway. I would go with Lucas or Luke. I like Lance but I did not give that name to either of my boys. I have always loved the name Cameron. We did’t have a boy so I never got to use it and it still isn’t over-used even nearly 22+ years later. My daughter just named her son Theodore and I am rather partial to it too. Jackson (but I had 2 girls). I love the name Peter! Pete sounds like a fun guy! I have 2 girls….so didn’t use it. If we had a boy we would have named him Rodney. I love the name Riley! One of my favorite boy’s names is Gavin. I also like Damian and Duncan. I love the name Zach! I have a Jesper, so i love that name, I also like Torben! I quite like Alex. Thanks for taking the time to think of a great giveaway right now and good luck with the next few weeks. Of course I have to say the names of my two sons….Matthew and Daniel. A friend’s daughter just had a baby boy and they named him Logan….love that too. I like the name Benjamin. My all time favorite boys name is Eric. Happy pushing!!! Super cute fabrics. Thanks for the giveaway. Good luck with the move. My son is named Connor but I wanted t name him Webster but hubby didn’t like it. Thank you for the chance to enter the giveaway. We like David or Michael. August, Philip, Paul, Gregory, and Joseph all make our short list too. Thanks for hosting! My favorite is John. Thanks for a great giveaway! Dashiel, Quentin, Simon, Finn. Good luck with the new edition and thanks for the giveaway. my boys are Jonathan and Jeremy,. I really like the names Chandler and Jude. Thanks for the chance! My boys are Oliver and Henry, and the third would have been William or maybe Dominic if she’d been a he. I love the name Zander. My grandsons are Max Judah and John Mason love their names. I also like the name Landon. Congratulations by the way. Very nice giveaway. hope your last weeks are comfortable. we are expecting too, a girl, but our top boy choices were Henry, Emerson, Soul, and Rufio. Quite the menagerie I know! William. I know its somewhat common, but it was my Grandfather’s name. A guy I work with just had a baby boy last week and they named him Isaac, which I think is just beautiful! Ethan, Luke or Noah. Thanks for participating! IRtiza thats a good name.. hoping to win. Favorite boy names are Wren, Noah and Levi (all have very special meaning for me). Good luck choosing for your little bundle! I’m due with my first boy in September. We’ve settled on Felix Leopold. Other options included Everett, Fleming, and Aloysius. I’m a fan of Elliot, myself. I have six boys so here are the names Benjamin Nicholas, Isaiah John, Joshua Joseph, Michael Joseph, Dominic Xavier and Anthony Christopher. It was hard coming up with a boys name for us after the 4th one. We have 3 girls too. Good luck with the name. It took my husband and I 4 YEARS to come up with a boy and girl name we could agree on. So, don’t worry, it’ll come. :) Our boy’s name choice was Moses. (When we told people this, we got a lot of, “I hope you have a girl” comments! lol) We had a girl, but we’ve heard the name Moses more often than you might think. Best wishes! Boy names are tough, I was lucky as my husbands family has a tradition of calling them after the father’s parents. Nikolaos. We just named our son Gavin, but runners up were William, Henry, Magnus, Lincoln, and Cash, and we are saving Dean for a future son. Congratulations! Jacob, Mark, Robert and Douglas Thanks. Well, I have 5 kids, 3 of them are boys :) Michael Oscar III, Bevin Mathew, and Killian Parker… So I would have to say that those are my faves! Davin, Josh, Levi, Dylan/Dillon. We had the hardest time when coming up with the son’s name – Jared – because my husband was so picky. I just named my son Thomas. Theo is my favorite boys name. Probably won’t be helpful to you but I would have named a son Sedar, after Leopold Sedar Senghor. Kirk – Short, strong and can’t be abbreviated too much. Thanks for sharing and for the opportunity on the draw. Beautiful fabric! Congrats on your future addition! 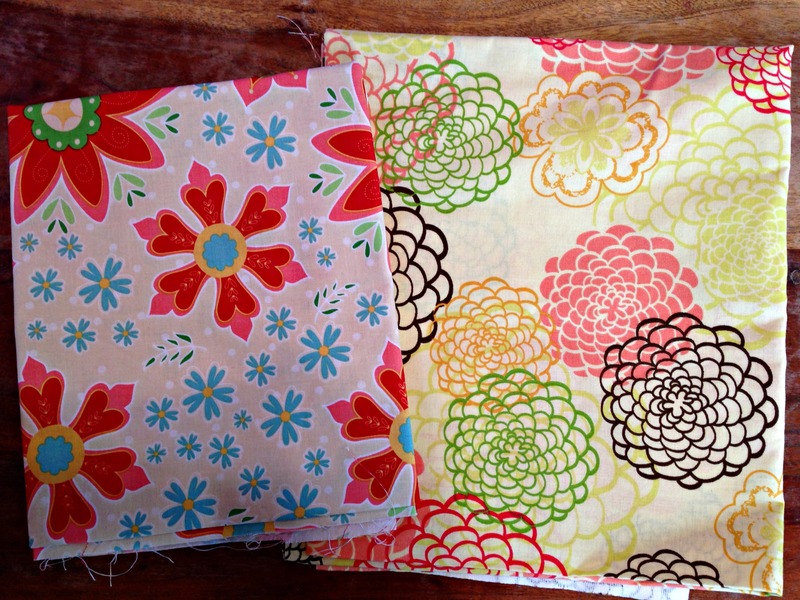 Very pretty fabrics- thanks for participating in the blog hop- such a fun event. I like Daniel. And James. And Matthew. I’ve always liked Michael as a boys name. I like the boys name Dana. Yes, it was a boys name before it was a girls name. My grandfather and brother both are named Dana. Thomas is my little man. It’s really strong and its cute that even by three he has nicknames. He is Thomas to me. Tom or Tomis to his baby sister. Tommy to his friends and Tom Tom to his nan. I like the name Jesse! Favourite boy-name… Kristophe or Mikko… but I think regional differences would be important for a kid.. and for teachers trying to pronounce names on class attendance lists! I never had to pick a boy’s name. I suggested Sam for my grandson, but my granddaughter’s name is Ella and my sil said he wasn’t naming his kids Sam n Ella. :) My grandson’s name is Declan and I like it. Oliver is my little boys name. I love Emerson too. I love Andrew cos I have one!!!! Thanks for the super giveaway. I really like the name Jason. I love the names Jeremy and Benjamin. Thanks for the chance to win! I like Ben. Best of luck w/the new baby and thanks for the opportunity! Oh boy moving house and about to give birth! Superwoman strength to you. Maybe wait until you see your son’s precious little face and that might help you to decide on his name. Our daughter was not named for about eight hours after birth. Thanks for the give away. thanks for the chances! Looking forward to the newsletter! I like Dylan. Best of luck with the new baby! My son’s name is Andrew, so I like that name, but if I was to pick another one, I like the name Harry. Remington (Remi for short). Or, Henry (love the classics) or Jack (my late grandfather’s name). I don’t have a favorite boy’s name–but I know that if we have a son, we will name him Arthur (family name on husband’s side). My husband is Bryan, with a Y not an I, which means it’s always misspelled! I like Shea, Porter, Arbor. All possibilities if I had another. Good luck! My son’s name is Stirling and I love it. Good luck with the rest of your pregnancy! My favorite boy names are Henry, Benjamin, and Sam. I have 3 favorites, for my three sons. Steven, Brian, Justin. I like the name Edward…and Caleb! I think my favorite is probably Benaiah. He was the most faithful and trustworthy of King David’s mighty men of valor in the Old Testament. :-) If we ever had a son I’d consider that name. I also like the name Peter, which is my husband’s name and is not that common any more. Connor is my favorite boy’s name. I am partial to Brody. Thanks for the chance. I’ve always like Mark and Alex for boy’s names. Thanks for the giveaway chance! First house and soon a baby! Exciting times indeed. Friends named their son Isaac, which I think is lovely. Good luck with everything, and thanks for the chnace! I love Noah and Wyatt.